The gaming compact hammered out by the Wilton Rancheria and Gov. Jerry Brown was signed into law today. The compact was signed by Brown after quickly passing through the California State Senate and Assembly. The state gaming compact is considered a crucial step in the Wilton Rancheria's quest to build their $400 million casino resort. 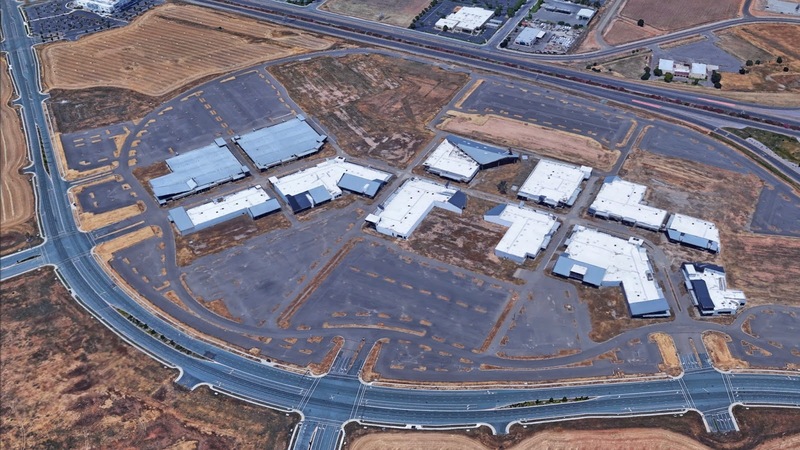 The facility is proposed for a 36-acre site in Elk Grove that previously was a part of the Howard Hughes Company's unfinished Outlet Collection at Elk Grove shopping center on Highway 99 and Grant Line Road. “The Governor’s signature represents the culmination of so much hard work over the past several years,” Wilton Rancheria Chairman Raymond C. Hitchcock said. "Our Tribe of 758 members is sincerely grateful to the Governor and the Legislature, and especially Assemblymember Jim Cooper, for their support." The gaming compact, which was sponsored by Assemblymember Jim Cooper (D -Elk Grove) as Assembly Bill 1606, was a so-called gut and amend bill. As a legislative procedure a gut and amend bill has the original language and intent removed en masse and replaced with different legislation, in this case, the compact. Cooper, who served as an Elk Grove City Council Member from 2000 to 2014 has been a staunch supporter of the gaming facility. Cooper, along with former Elk Grove Mayor Gary Davis and all five members of the current Elk Grove City Council has advocated for the casino as a way to kick-start the completion of the unfinished shopping center and claims the casino will bring up to 2,000 new jobs to the city. The compact outlines the agreement between the State of California and the Wilton Rancheria. Among the several items described in the agreement is the Tribe's ability to place up to 2,500 slot machines in the casino. In announcing the agreement, Hitchcock said that in the best case scenario groundbreaking on the structure could be as soon as next summer with an opening 18 to 24 months later. While the Hitchcock expressed optimism, there are still two pending lawsuits over the controversial project. One of those lawsuits was filed in Washington DC by casino watchdog group Stand Up For California. As plaintiffs, SUFC is challenging the legitimacy of the decision to place the 35-acres into federal trust. SUFC argues the land was illegally placed into trust in the waning hours of the Obama administration in violation of the 1998 Federal Vacancies Reform Act. Attorneys for the plaintiffs are seeking a summary judgment of their petition. Now we get to see the politicos get their coffers filled with gaming money, just in time for Halloween--trick or treat!